We’d love your help. 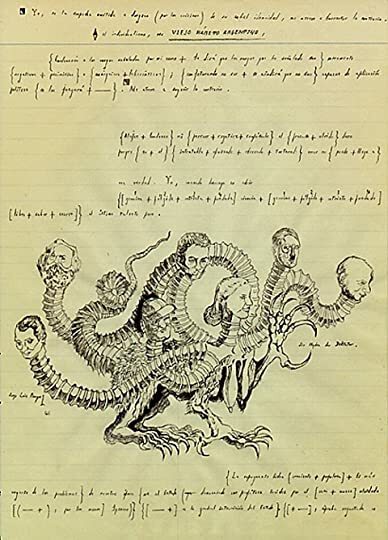 Let us know what’s wrong with this preview of The Aleph and Other Stories by Jorge Luis Borges. Full of philosophical puzzles and supernatural surprises, these stories contain some of Borges’s most fully realized human characters. With uncanny insight, he takes us inside the minds of an unrepentant Nazi, an imprisoned Mayan priest, fanatical Christian theologians, a woman plotting vengeance on her father’s “killer,” and a man awaiting his assassin in a Buenos Aires g Full of philosophical puzzles and supernatural surprises, these stories contain some of Borges’s most fully realized human characters. With uncanny insight, he takes us inside the minds of an unrepentant Nazi, an imprisoned Mayan priest, fanatical Christian theologians, a woman plotting vengeance on her father’s “killer,” and a man awaiting his assassin in a Buenos Aires guest house. This volume also contains the hauntingly brief vignettes about literary imagination and personal identity collected in The Maker, which Borges wrote as failing eyesight and public fame began to undermine his sense of self. To ask other readers questions about The Aleph and Other Stories, please sign up. Where can I find a translation of Deutsches Requiem by anyone other than Hurley? It is my personal favorite short story of Borges, I'm interested in another interpretation. Borges is magnificent. Below The Immortal, my review continues with other tales from this modern master. We have all experienced different dimensions in our life, to name just three: waking, deep sleep and dreaming. Yet when it comes to describing or imagining the afterlife, I’ve read very few accounts postulating how awareness could shift between various levels; rather, life (or lack of life) after death tends to be portrayed as an uninterrupted hum all at one frequency, the three major frequencies: 1) awareness within a specific form, like a light body 2) formless awareness, that is, our consciousness merging with undifferentiated oneness, an ocean of universal conscious 3) complete obliteration without a trace of conscious awareness. Why is this? Why can’t we think in terms of an alternating between various frequencies or modes of awareness, perhaps even with an occasional shift into oblivion? And these questions are compounded if we also think of our bodily existence on planet earth continuing forever, if we became part of the race of the immortals. Questions such as these pop up, at least for me, after reading this Jorge Luis Borges tale. Vintage Borges: The Borges-like narrator discloses a verbatim transcription of a document a French princess purchased in an old London bookshop after a conversation she had with the grubby old bookdealer in various languages: French, English, Spanish, Portuguese; she subsequently walked out of the shop with Alexander Pope's rendering of Homer’s Iliad in six volumes and later found this document in the last volume. You have to love how our Borges-like narrator isn’t claiming to invent the story; quite the contrary, he is simply reporting on someone else’s factual account of their extraordinary experience. The Manuscript: The document’s narrator provides us with his back-story in brief: he is an officer in the Roman army in Egypt, the Roman legions that have recently defeated Egyptian forces; however, since he himself didn’t participate in any of the bloody combat, he was propelled to embark on an adventure through the deserts in quest of the secret City of the Immortals. You also have to love how the narrator, an adventurous soldier, hale, hearty, bold leader of men and lover of the god Mars, functions as an alter-ego to the frail, bookish, solitary Borges. The Spark: One day a stranger, exhausted, covered in blood, rides into camp and, prior to dropping dead that very evening, informs the tribune how he is searching for the river that purifies men of death; and, he goes on to say, on the other side of that river lies the City of the Immortals, a city filled with bulwarks, amphitheaters and temples. With the inclusion of amphitheaters as part of his description of the immortal city, we are given a direct signal that what is contained within its walls shares a common culture with the Greco-Roman world. Anyway, the stranger’s words fire his spirit and imagination, thus primed for an astonishing discovery, off they go, the tribune and two hundred soldiers under his command provided complements of a high-ranking military commander. Going Solo: As the tribune informs us, the first part of the journey proved harrowing, grueling and strenuous beyond endurance - most of his men were either driven mad or died, while others, attempting desertion, faced torture or crucifixion. Also in this initial phase, the seekers crossed lands and deserts of fantastic tribes, including the Troglodytes who “devour serpents and lack all verbal commerce.” Events reach such a pitch he is told by a soldier loyal to his cause that the remaining men desire to avenge a crucifixion of one of their comrades and plan to kill him. He subsequently flees camp with several soldiers but disaster hits: in the fury of blinding desert whirlwinds he quickly gets separated - from now on, he is on his own. Turning Point: Our tribune wanders for days in the desert, forever scorched by the sun and parched by thirst until his living nightmare shifts and somehow he finds himself bound hands behind his back and lying in a stone niche the size of a grave on the slope of a mountain. There’s a stream running at the foot of this mountain and beyond the stream he beholds the dazzling structures of the City of the Immortals. Marcus Flaminius Rufus (at this point the tribune lets us know his name) can also see numerous holes riddling the mountain and valley and from those holes emerge grey skinned naked men with scraggly beards, men he recognizes as belonging to the race of Troglodytes. My sense is these Troglodytes represent a mode of being at the extreme opposite end of the spectrum from that of a refined aesthete and man of letters like Borges. I suspect Borges perceived (and perhaps dreamed) many of his fellow humans inhabiting a Troglodyte-like existence. Exploration, One: After many days and having finally freed himself from his bonds, Marcus enters the City of the Immortals. Soon after he explores the periphery, we read, “The force of the day drove me to seek refuge in a cavern; toward the rear there was a pit, and out of the pit, out of the gloom below, rose a ladder. I descended the ladder and made my way through a chaos of squalid galleries to a vast, indistinct circular chamber. Nine doors opened into that cellar-like place; eight led to a maze that returned deceitfully, to the same chamber; the ninth led through another maze to a second circular chamber identical to the first.” Anybody familiar with Jorge Luis Borges will recognized a number of recurrent themes: mazes, caverns, ladders, doors, chaos, circular chambers. Exploration, Two: Having spent what appears an eternity underground, Marcus spots a series of metal rungs on a wall leading to a circle of sky. He climbs the ladder, sobbing with tears of joy, until he emerges into a type of small plaza within the brilliant City. Marcus senses the city's antiquity and wanders along staircases and inlaid floors of a labyrinthine palace thinking how all what he sees is the work of the gods or, more accurately, gods who have died or, even, perhaps, since much of the architecture appears to lack any trace of practical purpose, gods who were mad. Then, we read, “I had made my way through a dark maze, but it was the bright City of the Immortals that terrified and repelled me.” And this is only the beginning: as Marcus further discovers, there are revelations even more astonishing, including the shocking true identity of one of those Troglodytes. •	How does memory relate to immortality? Is the erasure of our memory the first step in achieving immortality? 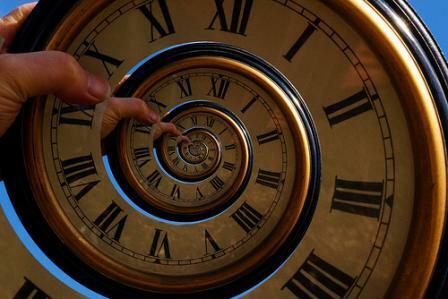 •	Likewise, how does time relate to immortality and is the erasure of time a critical step in experiencing immortality? •	If we were to experience a state free of memory and time in this life, through powerful hallucinogens, deep meditation or otherwise, have we achieved a kind of immortality, at least for a time? •	What part does ecstasy and bliss play in the state or experience of immortality? •	How far does the consequences of our action extend? To a subsequent rebirth or afterlife in another state? •	How much weight should we give to history or a specific epoch of history? To our own personal history? How much of history is so much smoke and mirrors? •	What role does transformation on any level, physical, mental, artistic, spiritual, play in our life? When I read the work of Jorge Luis Borges I feel like my universe is expanding a thousand-fold. And for good reason - my universe is, in fact, expanding a thousand-fold! This is especially true as I read The Aleph and Other Stories. Such sheer imaginative power. Fantastic! There are nearly fifty stories and brief tales collected here and every tale worth reading multiple times. For the purposes of continuing this review, I will focus on 4 stories, the first 3 being no longer than 2 pages. (4,3,2 . . . moving down to the infinity of the Borges 0, which happens to be the shape of the Aleph). Sorry, I am getting too carried away. The king of Babylonia builds a labyrinth ". . . so confused and so subtle that the most prudent men would not venture to enter it, and those who did would lose their way." Although the king of Babylonia tricked the king of the Arabs into entering his diabolical labyrinth, the king, with the help of God, manages to find the secret exit. After claiming victory in a bloody war, the king of the Arabs leads the king of Babylonia, in turn, into a different kind of labyrinth, and says, " . . . the Powerful One has seen fit to allow me to show thee mine, which has no stairways to climb, nor doors to force, not wearying galleries to wander through, nor walls to impede thy passage." Then, the king of the Arabs abandoned the king of Babylonia in the middle of the desert. These two images of a labyrinth, one intricate, convoluted, infinitely confusing and the other an endless desert, have remained with me since I first read this tale some thirty years ago and will remain with me as long as there is a `me' with a memory. A tale of identity where a young boy with sky-blue eyes is kidnapped in an Indian raid. The parents recover their son who is now a man and bring him back to their home. The man remembers exactly where he hid a knife. Not long thereafter, the man, now an Indian in spirit, returns to the wilderness. The story ends with a question, "I would like to know what he felt in that moment of vertigo when past and present intermingled; I would like to know whether the lost son was reborn and died in that ecstatic moment, and he ever managed to recognize, even as a baby or a dog might, his parents and the house." For Borges, memory and identity are ongoing themes. After reading Borges, I can assure you, memory and identity have become ongoing themes for me also. How many volumes have been written pondering and philosophizing over fate and free will? In two short paragraphs Borges gives us a tale where we are told, "Fate is partial to repetitions, variations, symmetries." How exactly? Let's just say life is always bigger than human-made notions of life. Around the universe in fifteen pages. There is a little something here for anybody who cherishes literature - a dearly departed lover named Beatriz, a madman and poet named Carlos Argentino Daneri, who tells the first person narrator, a man by the name of Borges, about seeing the Aleph, and, of course, the Aleph. What will this Borges undergo to see the Aleph himself? We read, "I followed his ridiculous instructions; he finally left. He carefully let down the trap door; in spite of a chink of light that I began to make out later, the darkness seemed total. Suddenly I realized the danger I was in; I had allowed myself to be locked underground by a madman, after first drinking down a snifter of poison." Rather than saying anything further about the Aleph, let me simply note that through the magic of literature we as readers are also given a chance to see what Borges sees. I dare anybody who has an aesthetic or metaphysical bone in their body to read this story and not make the Aleph a permanent part of their imagination. Go ahead. Take the risk. Be fascinated and enlarged. Have the universe and all its details spinning in your head. Read this book. This is a masterful collection by a writer of genius. I believe The Aleph is just as good as Fictions," and Fictions is as good as any book of short pieces produced in the 20th Century. If you like paradoxes, puzzles, doppelgangers and labyrinths used as metaphors for the relation of microcosm to macrocosm and the fluid nature of personal identity, then this is the book for you. At some point (but not today) I intend to do a review of Borges and Lovecroft together. Not to say anything important but merely to understand how they depend on one another. I think it is clear that Borges borrowed from Lovecroft. And I think it is just as clear that we read Lovecroft in light of what Borges did with the genre of fantasy/horror. At least a half dozen stories have been identified by readers as ‘cross-overs’ as it were from Lovecroft to Borges. And it is difficult to conceive of an interpretation of the genre that doesn’t presume the philosophical challenges put by Borges. But I think the influences may be much more widely seen in the detail of the stories. One obvious connection is the way both authors use the Arabic world, and Islam especially, as a focus for spiritual mystery. 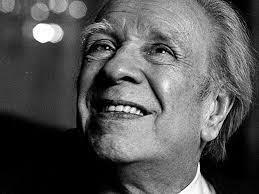 Borges admitted to trying to write in the Arabic tradition during a seminar in the 1970's. Lovecroft flirted with Islam in his young adulthood and clearly is familiar with Islamic, particularly Sufi, mythology. Another connection between the two authors is their use of space in a story to represent spiritual awakening, often in an inverted form: Lovecroft tends downward, inward into the earth and to the South when he enters the realm of the soul, hell, and fear. Perhaps this reflects his New England upbringing and the remnants of Puritan myth. Borges also goes downward but then typically rises upwards and puts his most primitive worlds in the North. Could the swamps and relative wildness of Uruguay and the Ibera Wetlands be a sort of gnostic symbol of earthly chaos directly opposed to Protestant certainties? “Anything can drive a person insane if that person cannot manage to put it out of their mind” – even… “a map of Hungary”! Obsession is the unifying theme of virtually all these stories, which is apt, because I’m beginning to be a trifle obsessed myself. It is perhaps most central to The Zahir. I have the Collected Fictions (with copious translator's notes), but am splitting my review of that into its components, listed in publication order: Collected Fictions - all reviews. This is the fourth, pu “Anything can drive a person insane if that person cannot manage to put it out of their mind” – even… “a map of Hungary”! Obsession is the unifying theme of virtually all these stories, which is apt, because I’m beginning to be a trifle obsessed myself. It is perhaps most central to The Zahir. I have the Collected Fictions (with copious translator's notes), but am splitting my review of that into its components, listed in publication order: Collected Fictions - all reviews. This is the fourth, published in 1949. The now familiar Borgesian tropes are also here in abundance too: time, reality and dreams, immortality, infinity, mirrors and opposites, labyrinths, recursion and circularity, memory. At this stage of working though Borge’s Collected Fictions, I feel deeply connected. There is still a beguiling, mysterious layer, but it’s not impenetrable by any means, even though I’m very aware that I’m nowhere near as erudite as Borges, so although I know many of the great literary names he drops, I’m not necessarily intimately familiar with their works. What price immortality? And what an opening premise: a story by a rare-book dealer, found by a princess, in a copy of The Ilyad! The story itself is about a mysterious, obsessive quest to find the secret City of the Immortals. The journey includes Roman soldiers; escape; loneliness; fear of otherness; extraordinary architecture; finding a way through a labyrinth of caves, ladders, doors and multiple rooms; sinister troglodytes, references to The Odyssey, and much musing on life, death, mortality, and the nature of time. It sounds like a checklist of clichés, but in the hands of this master storyteller, it is fresh, beautiful, profound – and unsettling. The story is summarised in the opening sentence: a low-life urban hoodlum becomes a horseman and the leader of a band smugglers. His obsession is gaining power. This is more than 1/3 through the Collected Fictions, and I think this has the first female character who merits more than a sentence (though it’s not a very enviable role). Of course, it’s really about death. If you’re almost dead anyway, does it matter what happens just before? A rather dry piece that perks up towards the end. It concerns two sects, each of which thinks the other heretical, compounded by a pair of believers in a doctrine, and one protagonist is obsessed with gaining the intellectual upper-hand. Are they allies (the same) or opponents (opposites)? Is “going native” a choice or a necessity? Are contrasting stories essentially two sides of the same story? This is only three pages long, and the story starts halfway through. This has echoes of The Captive and The Ethnographer (reviewed in Dreamtigers). There is lots of historical background in the translator’s notes and the conclusion echoes that of The Theologians (view spoiler)[”He realized that the other man was himself” (hide spoiler)]. A woman (at last), with clear inspiration from Kafka although Borges says in the afterword that the plot was given to him by a woman (without indicating whether it’s meant to be fact or fiction). It’s a compelling, twisted, and tragic story of bereavement and obsessive revenge, leading to thoughts of justice and truth. The son of a queen lives a strange and solitary life in an empty house “like no other”, with many doors and corridors. The oddness and sadness only increase when Asterion confides, “A certain generous impatience has prevented me from learning to read”. He runs “joyously” to greet rare visitors, in part because he can “free them from evil”. Then you realise how, why - and who. (view spoiler)[Asterion is the Minotaur. (hide spoiler)] There are (at least) two sides to every story. Does each choice or change create a new path through time? Grim but dull memories of a bloody civil war followed by interesting diversions into truth versus memory and the omnipotence of god, encapsulated in the question of whether a hero and a coward with the same name are two people, or two facets of one. A brave and controversial piece: on the eve of his execution, the subdirector of a Nazi concentration camp sets down his thoughts, so he can be understood (he has “no desire to be pardoned, for I feel no guilt”). He sees Nazism as “intrinsically moral” in part, because “compassion on the part of the superior man is Zarathustra’s ultimate sin”. That justifies murdering Jews, even a poet he admired: “I destroyed him… to destroy my own compassion”. Chilling. He engenders no sympathy, but I did, reluctantly, feel the desire to be understood had been partially achieved. A look at failure and defeat, despite great striving. An Arab physician in Al-Andalus is writing interpretations of Aristotle, but is stumped by the terms “comedy” and “tragedy”. Head-spinning time. “Idealist doctrine has it that the verbs ‘to live’ and ‘to dream’ are at every point synonymous; for me, thousands upon thousands of appearances will pass into one; a complex dream will pass into a simple one. Others will dream that I am mad, while I dream of the Zahir. This opens by listing the many meanings of the word, zahir, in different languages and cultures. The one that matters here is an object that can inspire obsession to the extent that the victim loses touch with reality. Perhaps that is why, at the outset, Borges writes “I am still, albeit only partially, Borges”. All sorts of things have been zahirs in mythology, but this one is an innocent-looking coin that Borges is given in a bar, when drowning his sorrows about a lost, dead love (a woman with an obsession of her own: glamour and perfection). It has the letters N and T scratched on it. After sleepless nights, confusion, consultation with a psychiatrist and scouring books, Borges learns more about zahirs and resolves to rid himself of the coin in another anonymous bar and to write a fantasy about it. In Deutsches Requiem, a couple of stories earlier, the idea of being driven to madness by being fixated on a single thing (even a map of Hungary) is mentioned, and that idea is extended here. He tells of a magic tiger that was a zahir, and a fakir who painted “an infinite tiger… composed of many tigers in the most dizzying of ways”. In fact, it contained almost everything (like an Aleph – the final story in this collection). “Tennyson said that if we could but understand a single flower we might know who we are and what the world is” because everything has elements of everything else. Another obsession-inducing object is The Book of Sand, in the collection of the same name. A priest of the god (lower case, no possessive) is in prison, with a tiger/jaguar the other side of a piece of glass. Following on from The Zahir, his growing obsession with this tiger is no surprise. The priest believes the god created a secret magical phrase that is hidden in creation and can ward off evil. He may have seen it many times, without realizing it, or without understanding it. He trawls his memories of the world and starts to see god and a message in everything – but especially the creature’s markings. The obsession drives him to the brink of insanity. He has a final revelation, but it was unique to him and it dies with him. Cornwall, 1914 (quite a shock, compared with the vague and more exotic locations of most of the other stories), and two men explore a ruined labyrinthine house, while one tells the other its story, involving a north African prince, a slave, a lion, and a prophesy of a murderous dead man. Walking around “They felt they were being suffocated by the house… through the knotted darkness… the invisible wall, cumbered with ruggedness and angles, passed endlessly under his hand”. When it was built, the local vicar had condemned it from the pulpit, declaring it “intolerable that a house should be composed of a single room, yet league upon league of hallways… No Christian ever built such a house.” He also told a story – which is the one after this: The Two Kings and the Two Labyrinths. Like a detective, the listener is intrigued but unconvinced: “the facts were true… but told the way you told them, they were clearly humbug”. He unpicks the less plausible aspects of the story, turns it round, and suggests an alternative. According to the afterword, this was “suggested by a true police story”. A man arrives in a new town, wanting to be inconspicuous, using a false name – that of his enemy – even though “he was not seduced by the literary error of imagining that adopting the name of his enemy would be an astute thing to do”. A man sent to quell riots in an Indian city vanished a few years later; the narrator is trying to find him. In the afterword, Borges says he set it in India “so that its improbabilities might be bearable” though it seems no less probable than most of the others. In “the opaque city that had magically swallowed up a man… I felt… the infinite presence of a spell cast to hide Glencairn’s whereabouts”. Everyone claimed either to have never heard of, let alone seen him, or to have seen him moments ago. Finally, a very old man seems to know something, though what he knows is obscure and its relevance unclear, especially because he seems to be talking about events many years ago. This has similarities with The Zahir, earlier in this collection: a man obsessed with a dead woman, and a mysterious object that inspires obsession and seems to contain everything. Borges visits the house of his love each year, on the anniversary of her death, staying a little longer each time, until he ends up a dinner guest. Her cousin is an obsessive poet, who “planned to versify the entire planet” and delights in reading his epic doggerel to Borges. He lavishly praises his own work, but won’t publish for fear “he might create an army of implacable and powerful enemies”. Borges “realized that the poet’s work had lain not in the poetry but in the invention of reasons for accounting the poetry admirable” – which it wasn’t, “a poem that seemed to draw out to infinity the possibilities of cacophony and chaos”! Those stream-of-consciousness passages are wonderful, but the ending is unexpectedly flat: (view spoiler)[Borges (the one in the story) questions the authenticity and uniqueness of the Aleph and implies he couldn’t see it, thereby suggesting the poet might be mad. The house is demolished, but rather than be broken by Borges' implication, the poet, liberated from his obsession, publishes his poetry – and wins prizes for it. (hide spoiler)]. •	It’s hard to follow fashion in war, so “A foreign man she had always had her doubts about was allowed to take advantage of her good will” by sending her hats. “These ridiculous shapes had never been worn in Paris” and “were not hats, but arbitrary and unauthorized caprices”. •	“Our minds are permeable to forgetfulness” which sounds rather back-to-front. Telaraña de historias y leyendas absurdas y maravillosas, llenas de elementos fantásticos pero con las que viajas por todo el mundo y a través del tiempo. He disfrutado mucho de esta lectura, aunque hay un puñado de relatos que no llegué a apreciar o entender, en cambio otros como 'El inmortal', 'Emma Zunz', 'La casa de Asterión', 'Deutsches Requiem' y 'El Alpeh' me fascinaron completamente y no puedo dejar de darles vueltas. Borges consigue algo que nunca me había pasado, que según termine un r Telaraña de historias y leyendas absurdas y maravillosas, llenas de elementos fantásticos pero con las que viajas por todo el mundo y a través del tiempo. Borges consigue algo que nunca me había pasado, que según termine un relato quiera volver a leerlo una y otra vez para poder comprender cada uno de los mil detalles y referencias que nos presenta. 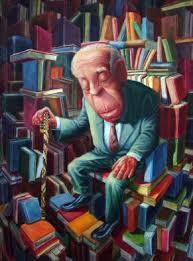 Borges: “American, old and a blind poet “ he realized once, later in life. Afterwards he had to live up to it and face old age as a “time of happiness”; the “animal being dead…man and soul go on”. Borges: “a shy man who longed for oblivion” (“siempre tímido”, as he said of himself); but not shy stories, he wrote; stories venturing into strange worlds of past times and mythologies and religious beliefs. Of his infancy he recalls the horror of mirrors: “that reflection”…”an enemy of me”. For some time, before complete blindness, he’s seen “vague whitish shapes”. He’s seen the black and the red; then the “silver color left”…blue and yellow “blended”; yellow was the “last color” to be seen. Blindness “came very quietly”; he knew about family blindness; some family members had died blind. 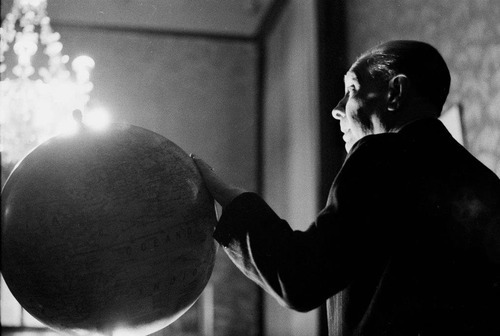 Borges in search for himself. "Time has been my Democritus". The first story is about the writing of God; about a magician Tzinacan, imprisoned; he finds a way out….but decides to stay; imprisoned. The second story is about the Zahir, the coin, first gotten as money change from a drink ("aguardente"). It all starts with the death of actress Teodelina Villar. According to the author, she committed the solipsism of dying right on the “bairro der sur”. She was more interested in perfection rather than beauty. It’s a story full of reflections on currency:”money is abstract”…”unpredictable” …it may be “coffee,…Brahms music”. On the 16th of July the narrator bought 1 sterling pound, and studied it under the magnifying glass. In August, due to insomnia, he had to consult with a psychiatrist. He could not get rid of a fixed idea. 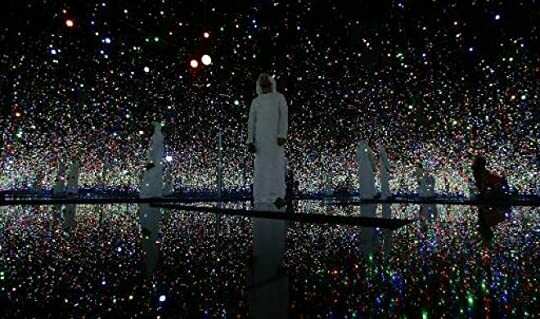 Plus, reflections on Sufi wisdom: the repetition of names for 99 times: “maybe behind it is God”. Ah, the zahir,the coin…the narrator got rid of it,… in a drink. 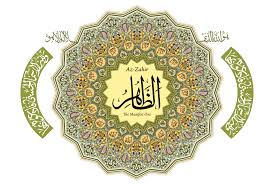 “The zahir is the shadow of the rose, and the parting of the veil”;… “now I use both”. Mostly, stories to ponder. To enjoy their full color. Maybe to get perplexed. To start searching for meaning. Identity too. ... over 9 years. Preferably over 99 years. This book of short tales by Jorge Luis Borges is perhaps the most brilliant compendium of fantastic stories that the author has written. Among others, we find: "The immortal", "The dead", "The theologians", "History of the warrior and the captive" and the central story that has the most eloquent burden of mystery and metaphysical depth: "The Aleph". In this last story, the author in person is the protagonist. After the death of his beloved friend Beatriz Viterbo, Borges does not miss the appointm This book of short tales by Jorge Luis Borges is perhaps the most brilliant compendium of fantastic stories that the author has written. Among others, we find: "The immortal", "The dead", "The theologians", "History of the warrior and the captive" and the central story that has the most eloquent burden of mystery and metaphysical depth: "The Aleph". وبعضها الكاتب نفسه بيدخل فيها فكأنها أجزاء من حياته. After reading Borges my brain usually feels fried, so excuse all the nonsense in this review. My intention was never to write anything about it, to let it flow, to carry on with my life. But trust me, after reading this magnificent writer, and specially such writings as the ones collected in El Aleph, life's never the same. My brain may be fried, but my soul feels somewhat soothed. Reading him is like facing the Zahir: something that seeds in one's soul a never-ending obsession in life's groundle After reading Borges my brain usually feels fried, so excuse all the nonsense in this review. My intention was never to write anything about it, to let it flow, to carry on with my life. But trust me, after reading this magnificent writer, and specially such writings as the ones collected in El Aleph, life's never the same. My brain may be fried, but my soul feels somewhat soothed. This is the second Borges book that I have read (though the first in Spanish), and I have found that my reaction was an echo of the first. With Borges, I have the constant sensation that the writing is superlative and the style very much to my taste; yet somehow I often manage to be uninspired. The typical Borgesian themes—the collapse of personal identity, the sense of a mysterious connection, the obsession with a sort of occult understanding of a higher reality—make me uneasy, and at times str This is the second Borges book that I have read (though the first in Spanish), and I have found that my reaction was an echo of the first. With Borges, I have the constant sensation that the writing is superlative and the style very much to my taste; yet somehow I often manage to be uninspired. The typical Borgesian themes—the collapse of personal identity, the sense of a mysterious connection, the obsession with a sort of occult understanding of a higher reality—make me uneasy, and at times strike me as a kind of armchair mysticism: the translation of spiritual impulses into erudite literature. And I am suspicious of anyone who uses their learning to intentionally create obscurity. This only applies when his style falls flat. 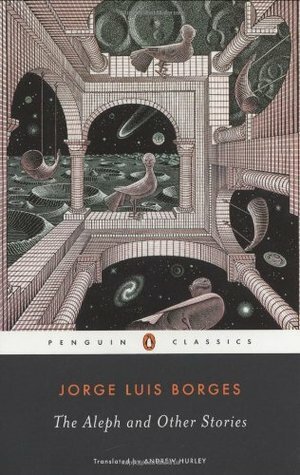 But when Borges is at his best, such as (for me) in El inmortal, La casa de Asterión, and the title story, El Aleph—when Borges breaks through my instinctive suspicion of all art that is intentionally mysterious—I feel the floor collapse from under me, and I am lost in an expansive feeling of literary pleasure. This is the trademark Borges effect; and, to my mind, all of his stories are aimed at evoking this same feeling. As a result, the stories are hit or miss for me. My problem is that, when the mysterious Borges effect fails to manifest, I am left with dense and at times dry prose (no doubt intentionally so), which I have trouble enjoying. از عالم معنا الفی بیرون تاخت که هرکه آن الف را فهم کرد همه را فهم کرد, هرکه این الف را فهم نکرد هیچ فهم نکرد. طالبان چون بید می لرزند از برای فهم آن الف. اولین خوانش من از برجسته ترین نویسنده آمریکای لاتین خورخه لوئیس بورخس همراه با شگفتی و هیجان و لذت.....کتابی با 17 داستان کوتاه بیشتر در دنیایی غیرواقعی در باره مرگ و زندگی اما بی نهایت عمیق و قابل تامل.....نوع تفکر با رجوع به اندیشمندانی از یونان باستان تا به امروز همراه با قلم جادویی و نگاهی ناب و زیبا بورخس را در لیست نویسندگ از عالم معنا الفی بیرون تاخت که هرکه آن الف را فهم کرد همه را فهم کرد, هرکه این الف را فهم نکرد هیچ فهم نکرد. طالبان چون بید می لرزند از برای فهم آن الف. "Tutte le parti della casa si ripetono, qualunque luogo di essa è un altro luogo. Non ci sono una cisterna, un cortile, una fontana, una stalla; sono infinite le stalle, le fontane, i cortili, le cisterne. La casa è grande come il mondo." "Nella Somma Teologica si nega che Dio possa far sì che il passato non sia stato, ma non si dice nulla dell'intricata concatenazione di cause ed effetti, che è tanto vasta e segreta che forse non si potrebbe annullare un solo fatto remoto, per insignificante che sia stato, senza infirmare il presente. Modificare il passato non è modificare un fatto isolato; è annullare le sue conseguenze, che tendono a esser infinite." "So che alcuni operavano il male affinché nei secoli futuri ne derivasse il bene, o ne fosse derivato in quelli passati...Visti in tal modo, tutti i nostri atti sono giusti, ma sono anche indifferenti. Non esistono meriti morali o intellettuali." Penso sia impossibile cercare di classificare Borges; né, al termine della lettura, risulta semplice condensare in breve spazio le innumerevoli tematiche toccate o semplicemente sfiorate. Persiste, durante l’intera esperienza, un senso di vertigine che si spalanca alla frase rivelatoria o a quel passo che sembra essere la chiave per decriptare tutto; quasi come se Borges scoperchiasse un intero universo, il cui orizzonte di possibilità permette di precipitare in un altro universo ancora. Un circolo senza fine. Borges, forse primo autore in assoluto, ha scardinato certezze, irriso le mie conoscenze - davvero scarse, il senso di vergogna m'opprime - e accantonato schemi mentali prefissati: l'esperienza di lettura diventa sì un'esplorazione di infiniti rimandi e citazioni, ma anche un gioco a incastri che possa dipanare le labirintiche costruzioni di un autore che con la letteratura ci sguazza, muore e rinasce. Dal tema del doppio, come due facce della stessa medaglia, a partorire infinite realtà - la labilità della memoria in “L’altra morte” e “Storia del guerriero e della prigioniera”, quest’ultimo davvero commovente - si passa all’esercizio del ridimensionamento del gesto umano di fronte alla necessità dell’equilibrio - “L’immortale”, racconto cardine della raccolta, nonché il meraviglioso “Deutsches requiem”, a delineare il nazismo come necessità per la proiezione dell’opposto - e si approda a virtuosismi indimenticabili come “La casa di Asterione”, la cui gestione del materiale letterario trattato è finanche superba e “Abenjacan il bojarì, ucciso nel suo labirinto”, che carpisce il soggetto del racconto precedente per ribaltare l’intero contesto con un’indagine metafisica che accarezza il metaletterario. In mezzo al marasma generale, da citare il racconto di chiusura, "L'Aleph", mostruosamente simpatico nel denudare il meccanismo alla base della letteratura e giustificare l'immensa conoscenza di importanti individualità che si sono avvicendate nella storia. P.S. Divertente come Borges spieghi i suoi racconti come un prestigiatore sveli i propri trucchi: con semplicità e divertito distacco. Me costó mucho terminar este libro. Tenía ganas de leerlo por decir "ya leí a Borges en algún punto de mi vida", pero realmente fue una lectura algo difícil. El contexto histórico, fantasioso y en ciertos momentos filosóficos fueron muy abrumantes. Seguramente me pareció eso debido a que venía leyendo estilos y géneros muy distintos al de cuentos fantaseosos con un nivel de profundidad alto (en la mayoría de ellos). Es el primer libro con el que experimento la convicción de volver a leerlo en ot Me costó mucho terminar este libro. Tenía ganas de leerlo por decir "ya leí a Borges en algún punto de mi vida", pero realmente fue una lectura algo difícil. Es el primer libro con el que experimento la convicción de volver a leerlo en otro punto de mi vida. 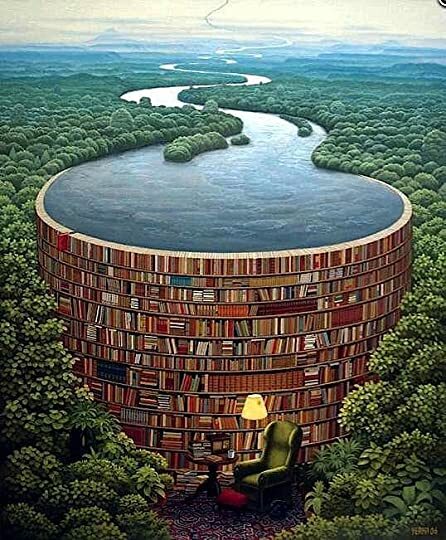 Generalmente leo los libros una sola vez y con esa sola vez quiero sentir que absorbí toda el alma de esa obra. Siento que con "El Aleph" lo leí, lo terminé, pero sólo capté algunos brillos de su escencia. Siento que me falta madurez para experimentar más a fondo la nostalgia que describe, el amor pasional y maduro, y en general enseñanzas sabias de la vida. Por ello, creo que lo voy a volver a leer en algunos años. No puedo decir que disfrute su lectura plenamente. En momentos fue muy tedioso y hasta quise romper mi regla de no cambiar de libro, pero persistí. Quizás era más mi deseo de querer leer a Borges. Sin embargo rescato algunos extractos y frases que de verdad siento que son muy sabias y hasta me dieron respuesta a algunas preguntas y dudas que quisiera responder ahora. What is there to say about Jorge Luis Borges that hasn't been said before? Not much. Borges is a wonderful story-teller. His world is one of mysticism and magic, and paradoxically, of raw realism. It's a world of serious philosophical thoughts and of detective plots. The Aleph is a window for everything that the world contains; perhaps that is the perfect description of Borges's stories. I must admit, however, that some of the stories didn't awe me that much. I infinitely prefer when Borges write What is there to say about Jorge Luis Borges that hasn't been said before? I must admit, however, that some of the stories didn't awe me that much. I infinitely prefer when Borges writes about Arabs within the atmosphere of One Thousand Nights or about Jews and the Kabbalah. I prefer the stories that have a supernatural element, or that suffered the clear influence of Conan Doyle. The stories about gauchos and Argentine folk if we can call it that, leave me strangely unimpressed. Perhaps because I cannot connect to that world as I connect to others. I must mention the exception: the story about the death of Pedro Damián which I thought was truly extraordinary. As Borges says in his commentaries at the end of the book, "all theologians have denied God one miracle - that of undoing the past". (One can argue that this story fits more the "supernatural" category than the Argentine gaucho category but no matter). The stories where Borges dissociates from himself and sees himself through a mirror are some of my favourite as well. The blind Homer which isn't Homer at all but Borges, was unexpectedly moving, as though Borges was revealing one of his inner secrets. Still, apart from the Aleph and another couple of stories, I found that the most interesting writing of this volume is Borges's autobiography. It is always refreshing and comforting to read the thoughts of a man who has learned much about life and is willing to share that knowledge. Despite being 71, he wrote of his future plans with the enthusiasm of youth. And he was right: he went on to live more 15 years. This is the 2nd time I try to read these stories. This time I tried in Spanish (very bad idea- too difficult for my level) and then came back to the Romanian translation. I liked the ideas (such as for the Immortals) but the author continually put references of different names, places, dates, literary and historical citations that in my opinion made the story unpleasant to read. I understand the author is very well read and he drew inspiration from all the book he cites (Iliad, Hamlet, etc) but This is the 2nd time I try to read these stories. This time I tried in Spanish (very bad idea- too difficult for my level) and then came back to the Romanian translation. I liked the ideas (such as for the Immortals) but the author continually put references of different names, places, dates, literary and historical citations that in my opinion made the story unpleasant to read. I understand the author is very well read and he drew inspiration from all the book he cites (Iliad, Hamlet, etc) but i think they disrupt the flow of the story. Bundan yaklaşık bir yıl önce elime aldım Alef'i ve ilk öyküleri okudum. Ama Borges içine girilmesi, anlaşılması çok zor bir dünya yaratmıştı. Bir hikâyenin içinde anlamadığım ve hikâyenin hiçbir yerinde açıklanmayan onlarca gönderme, referans oluyordu ve bazen bunlar hikâyenin meramını anlamamı engelliyordu. Sinirlendim ve Borges'i anlaşılmayacak bir şeyler yazdığı için kibirli buldum. Üstünden aylar geçti ve ben kitaba hiç dokunmadım. Sonra geçenlerde aklıma düştü ve Borges'le olan içimdeki tart Bundan yaklaşık bir yıl önce elime aldım Alef'i ve ilk öyküleri okudum. Ama Borges içine girilmesi, anlaşılması çok zor bir dünya yaratmıştı. Bir hikâyenin içinde anlamadığım ve hikâyenin hiçbir yerinde açıklanmayan onlarca gönderme, referans oluyordu ve bazen bunlar hikâyenin meramını anlamamı engelliyordu. Sinirlendim ve Borges'i anlaşılmayacak bir şeyler yazdığı için kibirli buldum. Üstünden aylar geçti ve ben kitaba hiç dokunmadım. Sonra geçenlerde aklıma düştü ve Borges'le olan içimdeki tartışmanın mutlak galibi olmanın rahatlığıyla yine sinirli sinirli söylendim. Ama geçen zaman içinde içimdeki Borges de boş durmamış olacak ki, "Belki Borges sen anla diye yazmıyordur, kendi bilgi birikimine eş seviyedeki insanlar için yazıyordur, neden kendinden cahiller için normalde yazacağından daha basit yazsın ki?" dedi. "Borges'in işi okumak ve yazmaktı, okurunun onun seviyesinde olmasını şart koşması kibir değil mi?" dedim içimdeki Borges'e. "Şart koşmuyor ki, sen birkaç şeyi anlamamaktan korktuğun için o kitabı eline almayacak kadar kibirlisin sadece," dedi. "Bazı şeyleri anlamaman çok doğal, o hikâyelerde anlayabileceğin, keyif alabileceğin şeyler de var." İkna ediciydi ve ben de tekrar okumaya başladım. Yine arada sırada "Acaba neden bahsediyor, nereden alıntılıyor, neye gönderme yapıyor?" dediğim olsa da bunun -mecburiyetten belki de, o kadar da önemli olmadığı sonucuna vardım. Borges'in hikâyeleri bundan ibaret değildi. A friend of my ex-wife’s (it’s not necessary that you know his name or hers), though at the time of his death a committed atheist, was awarded a Doctor of Sacred Theology by an American University after the publication of his biography of the late Pope, which was generally well received, even in Roman Catholic circles. He was a great frequenter of antiquarian bookshops in Rome, at one of which he encountered and purchased for his future studies a collection of books formerly owned by the subject of his work. In one of these books, he found a photograph of two sentences written in ancient Greek, upon the reverse side of which the late Pope had written a translation in both German and English. I only know this, because, when he died, my wife’s friend bequested this collection (including the book and the photograph) to her (an otherwise devout believer) in his will, and when she subsequently died, she likewise gave the documents to our son in her will. In fact, it was our son who first drew this photograph to my attention. As I type these words, I am holding a copy of the photograph (by which I mean that images of both sides of the photo are set out together on the one side of the sheet of paper; I know, because it was I who created this facsimile with my phone camera and some software I had downloaded onto my computer) in my (surgically) gloved hands. Η συγκεκριμένη συλλογή διηγημάτων απαρτίζεται από ιστορίες που έχουν μια κοινή βάση -τουλάχιστο οι περισσότερες- κι αυτή είναι η αναζήτηση του Θεού. Όχι όμως ενός συγκεκριμένου θεού, αλλά κυρίως της έννοιας του ή της πεμπτουσίας του. Σχεδόν σε όλα τα διηγήματα υπάρχει διάχυτος ένας μυστικισμός ενώ οι επιρροές από την Βίβλο, το Κοράνι και άλλα θρησκευτικά βιβλία είναι καταφανέστατες. Λαβύρινθοι, καθρέφτες, σωσίες και περίεργα σύμβολα εμφανίζονται συνεχώς σε όλα διηγήματα, ενώ παράλληλα ο Μπόρχες δεν σταματάει να μας υπενθυμίζει την αγάπη του για την αστυνομική λογοτεχνία αλλά και την γεωμετρία! Στην διαπίστωση σας κύριε Μπόρχες πως "όλοι οι άνθρωποι είναι είτε πλατωνικοί είτε αριστοτελικοί" εγώ προτιμώ να αυτοχαρακτηριστώ ως "μπορχεσικός". Se leggendo “Finzioni” non si può fare a meno di ammirare Borges per l’originalità inventiva e il geniale virtuosismo, leggendo “L’Aleph” si impara ad amarlo incondizionatamente. O almeno a me è successo così. A chi si accostasse per la prima volta a questo scrittore, consiglierei pertanto di iniziarne la conoscenza da quest’opera, che a mio avviso ne rivela più intensamente ed esaustivamente le eccezionali qualità narrative e il singolarissimo profilo intellettuale. Ciascuno dei diciassette racconti che compongono la raccolta è un universo a sé stante, perfetto e concluso in sé: un piccolo grande capolavoro. E il loro insieme è qualcosa di unico e irripetibile, che dà vita a un’opera-cardine della letteratura universale, destinata a fissarsi in maniera indelebile nella memoria e nell’esistenza stessa del lettore. Se si rilegge uno qualunque di questi racconti, poi, ci si accorge che ogni volta si aprono nuovi significati, nuove possibili interpretazioni, nuovi orizzonti e percorsi logici. Come appunto succede per i grandi capolavori dell’arte di ogni tempo. I temi trattati sono quelli universali – il tempo, il destino, la divinità, il mistero della vita e della la morte; l’amore, l’odio e la solitudine; il dolore, la guerra, la vendetta, l’abisso insondabile della mente umana e la pazzia... – Borges però li sviluppa in maniera del tutto personale, sovrapponendo a evidenti citazioni erudite (da letterati, filosofi, storici, matematici, ecc. del passato) il prodotto della sua sconfinata immaginazione. Fatti e personaggi inventati sono così accostati a quelli reali, risultando spesso più concreti e credibili, o addirittura necessari a meglio interpretare teorie e vicende. La prosa di Borges, potente e inafferrabile, contribuisce in maniera determinante alla fruizione del racconto, in quanto le descrizioni (di personaggi, animali, architetture, luoghi, gesti...) e la formulazione dei concetti si avvalgono di termini densi, sofisticati e fortemente evocativi, che ad una analisi approfondita suggeriscono all’intelletto e alla creatività del singolo lettore infinite immagini e infinite interpretazioni. Sono molteplici le classificazioni attribuite dalla critica a questo autore: chi ha posto l’accento sul carattere metafisico dei suoi scritti, chi sul suo mondo fantastico governato dalla logica, chi sul suo “umanesimo”, chi sulla distruzione della letteratura moderna da lui operata... Ognuna di esse è allo stesso tempo vera e limitativa, in quanto catalogare una personalità tanto grandiosa, complessa e sfaccettata è praticamente impossibile. Novello Omero, novello Dante... Borges è Borges, ed è immenso. "Que o céu exista, mesmo que o nosso lugar seja o inferno." Um dia, junto das pirâmides do Egipto, Borges apanhou um punhado de areia, largou-o mais à frente e disse: "Estou a modificar o deserto. Dos dezassete contos, incluídos neste livro, não gostei muito da maior parte deles. Ou porque não os compreendi (perdida em l "Que o céu exista, mesmo que o nosso lugar seja o inferno." Dos dezassete contos, incluídos neste livro, não gostei muito da maior parte deles. Ou porque não os compreendi (perdida em labirintos infinitos); ou porque não foram "escritos para mim". Mas....dos dezassete "guardei" três, aos quais junto a frase lá de cima. All'interno di questa raccolta ogni storia oltre a racchiudere un universo a sè stante, riesce a contenere almeno una parte della grande sapienza di Borges. L'Aleph è un insieme di racconti fantastici, che dimostrano la grande capacità dell'autore di fondere la finzione e la realtà, lasciando il lettore in un apparente stato di sbalordimento. Sono storie brevi estremamente colte, ricche di riferimenti a testi e autori tutt'altro che noti. Sono storie religiose, orientali, mitologiche, esoteriche, All'interno di questa raccolta ogni storia oltre a racchiudere un universo a sè stante, riesce a contenere almeno una parte della grande sapienza di Borges. Sono storie brevi estremamente colte, ricche di riferimenti a testi e autori tutt'altro che noti. Sono storie religiose, orientali, mitologiche, esoteriche, fantastiche ma spesso anche realistiche. I temi principali che spesso vengono affrontati in questa raccolta sono il destino e l'infinito (con una particolare attenzione rivolta ai labirinti). Sono due argomenti difficili da sviluppare, anche se ovviamente, Borges li affronta con grande lucidità mettendo sempre in primo piano l'individuo e riuscendo a commuoversi davanti all'elemento tragico sempre presente nella vita umana. Ci sono tante storie su cui varrebbe la pena soffermarsi: ad esempio il bellissimo racconto Storia del guerriero e della prigioniera. Nel quale viene narrata la triste storia del barbaro Droctulft che mentre assedia Ravenna, decide di abbandonare i suoi e si unisce ai nemici dopo essere rimasto attonito davanti alla grandezza dei monumenti, pur non riuscendo a comprendere il significato delle iscrizioni. La vicenda viene poi accomunata con una storia più personale vissuta dallo stesso Borges. Ma anche La casa di Asterione un testo breve ma geniale che riesce a rendere umano uno dei personaggi più mostruosi della mitologia, con un finale davvero acuto. E non potrei non citare il racconto forse più importante: L'Aleph che ha per protagonista proprio l'autore del libro, anche se l'elemento principale è l'Aleph: uno dei punti dello spazio che comprendono tutti i punti e da dove si riesce a vedere ogni luogo della terra da tutti gli angoli. Uno strumento (non so quanto sia corretto definirlo in questo modo) estremamente sofisticato che riesce a definire nel modo più preciso la concezione stessa dell'infinito. Nonostante la grandezza di questi racconti, devo però rivedermi su alcune cose, dopo aver letto Finzioni, L'aleph non è riuscito veramente a stupirmi, forse perché molte delle storie presenti in questa raccolta (pur avendo un'identità totalmente diversa) sono al limite dell'analogia. L'Aleph è comunque una raccolta davvero degna di nota: imprescindibile, inconfondibile e indimenticabile, che come le altre opere di Borges stravolge la letteratura, la reinterpreta ma soprattutto la cambia. Una piccola Bibbia di universi mai esistiti, ma che potrebbero comunque esserci. Ci ho provato e riprovato. Ogni volta mi impegnavo a leggerne un pezzetto in più, ma ogni volta mi ritrovavo con un testo cervellotico, artificioso e saccente, che faticavo ad afferrare; anzi, mi infastidiva. E ogni volta mi sentivo come quel rudimentale troglodita del primo racconto, tuttavia priva di immortalità. L’ho ripreso infine da poco, quando ho scoperto su GR un gruppo di lettura che aveva scelto proprio "L’Aleph” per il mese di dicembre. Sono rimasta dietro le quinte in attesa, e anche Ci ho provato e riprovato. Ogni volta mi impegnavo a leggerne un pezzetto in più, ma ogni volta mi ritrovavo con un testo cervellotico, artificioso e saccente, che faticavo ad afferrare; anzi, mi infastidiva. E ogni volta mi sentivo come quel rudimentale troglodita del primo racconto, tuttavia priva di immortalità. Sono rimasta dietro le quinte in attesa, e anche un po’ curiosa, di leggervi confronti, trovare spiragli e magari una qualche chiave. Ringrazio gli intervenuti, benché nessun aiuto abbia ricevuto in quel senso; tutto ciò che ne ho ricavato è che la "logica" di Escher è chiara e mi affascina, mentre quella di Borges è contorta e mi innervosisce. Ma li ringrazio con convinzione, perché mi hanno fatto decidere di liberarmi definitivamente del “grande” Borges; alla fine con soddisfazione e sollievo. Tanto di cappello a chi sa apprezzarlo; io mi accontento della mia normale… “mortalità”, potendo gustare altrove la lettura come regalo, e piacere! Lo que nos cuenta. Recopilación de relatos (el autor prefería la palabra cuentos, así que respetemos eso) de Borges, que nos llevarán desde el hallazgo de un objeto increíble hasta conocer los recuerdos de un inmortal, pasando por los pensamientos de un peculiar protagonista en su todavía más peculiar hogar o un juicio en el Punjab, entre otras tramas.